Last year, PricewaterhouseCoopers gave us predictions for how artificial intelligence would be used in 2018. This year, PwC has upped the ante with a rundown of what it says companies “must make happen” with respect to AI in 2019. One fact about AI algorithms that may surprise business users — as it surprised this reporter — is that there aren’t that many of them. The same handful of algorithms can solve most business problems for which AI is relevant, according to the survey report. “If you successfully apply them in one area of your business, you can usually use them in others,” says PwC. For example, by automatically extracting information from invoices, even those that aren’t fully standardized, AI systems can automate the process to reduce costs and processing time. Once that’s done, that programming can be relatively easily modified to speed up data extraction in other areas, including customer service, marketing, tax, and supply chain management. Also, PwC counsels, make sure to set the right AI foundation. That is, AI initiatives should begin neither with AI specialists nor with business leaders. Rather, a company’s AI exploration and implementation should be overseen by a diverse team that includes people with business, IT, and specialized AI skills, representing all parts of the organization. This group should determine how to identify AI use cases, develop accountability and governance, and establish enterprise-wide data policies. It also should determine technology standards, PwC says, including architecture, tools, techniques, vendor and intellectual property management, and just how intelligent AI systems need to be. The answer is creating three levels of AI-savvy employees — “citizen users,” “citizen developers,” and “data scientists” — and providing ways for all three to work together successfully, according to the report. As AI spreads, most employees will need training to become citizen users. They’ll learn how to use AI applications, support data governance, and get expert help when needed. About 5% to 10% of the workforce should receive further training to become citizen developers: power users who can identify use cases and data sets and work with AI specialists to develop new applications. Finally, a small set of data engineers and data scientists will “do the heavy lifting” to create, deploy, and manage the applications. Surveyed executives cited ensuring that AI systems are trustworthy as their top AI challenge for 2019. “How they’ll overcome that challenge depends on whether they’re addressing all facets of responsible AI,” the report says. Fairness: Are we minimizing bias in our data and AI models? Interpretability: Can we explain how an AI model makes decisions and ensure those decisions are accurate? Robustness and security: Can we rely on an AI system’s performance? Are our systems vulnerable to attack? Governance: Who is accountable for AI systems? Do we have the proper controls in place? System ethics: Do our AI systems comply with regulations? How will they impact our employees and customers? Establishing controls over AI’s data, algorithms, processes, and reporting frameworks will require blended teams of technical, business, and internal audit specialists, according to PwC. 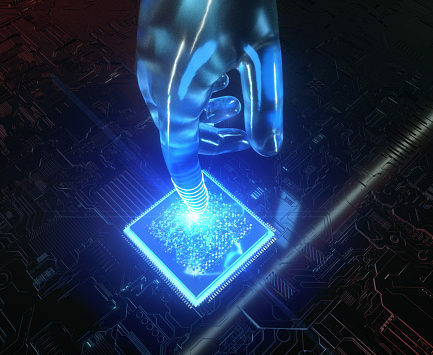 Survey respondents identified integrating AI and analytics systems as the top AI-related data priority for 2019. But less than a third of the participants identified labeling data as a business priority for the coming year. And such labeling is the foundation that AI needs in order to succeed. With enough historical data on, say, customer behavior, machine learning systems eventually will be able to predict how consumers will behave going forward. However, to create the data sets needed for training machines, data must be labeled. At the same time, “some business problems have AI solutions that would require training data that companies may not have available,” the report notes. On the other hand, new machine learning techniques can enable AI to produce its own data based on a surprisingly small number of samples. These techniques also support transferring models from one task with lots of data to another one that lacks data, according to the report. “Boosting the top and bottom lines with AI is not a distant dream,” PwC opines. Presently the greatest gains from AI are in the form of productivity enhancement, as companies use it to improve operations and help employees make better decisions. 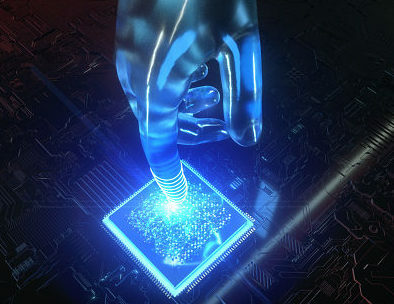 However, in 2019 more companies will plan or develop new business models based on AI and investigate new revenue opportunities, the report predicts. “The majority of AI’s economic impact will come from the consumption side, through higher-quality, more personalized, and more data-driven products and services,” says the report. Examples of such impact include new business models in the health-care industry based on monitoring patient lifestyle data, or retailers offering more products and services tailored specifically for individual people. AI’s power grows even greater when integrated with other technologies — analytics, ERP, the Internet of Things, blockchain, and even (eventually) quantum computing. More than one in three (36%) of surveyed executives cited managing the convergence with AI with other technologies is a top AI challenge for 2019. That put it on a par with retraining employees and just below ensuring trust in AI. Apparently, then, business success today is not just a matter of plugging in AI and letting it do all the work.